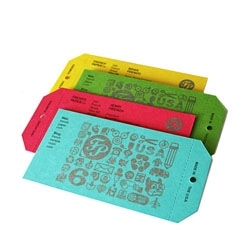 Designer 'Peep Show' series profiling each team member and a peep peek into the things they carry, eat, sleep with, and can't leave home without. 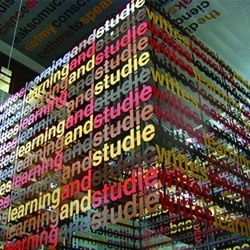 'Literally' is a powdered coated 'text cube' and wall diagram by artist Liam Gillick. 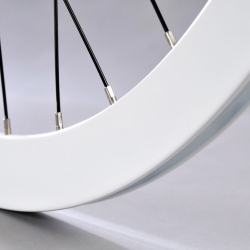 Ever wonder how a bicycle wheel is built , here is the answer in a great video from the H plus Son team. 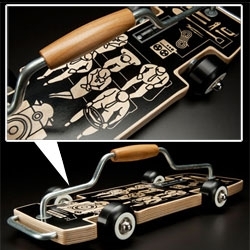 FEATUREDSO fun, your pencils have never been so sharp, so fast! The C.H. 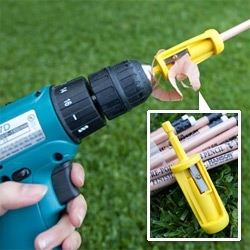 Hanson Pro-Sharp™ Finishing Pencil Carpenter is apparently the “world’s first chuckable drill powered pencil sharpener” ~ see the video! 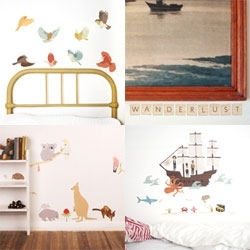 Pretty wall stickers from Mae ~ from birds and aussie creatures ~ to scrabble tiles to make your own messages ~ to pirate ship scenes and more! 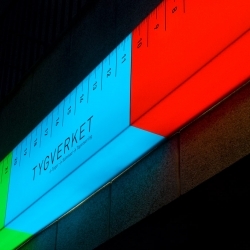 Tygverket is one of Stockholms largest and most popular fabric shops. They've never had a unified identity, until now. 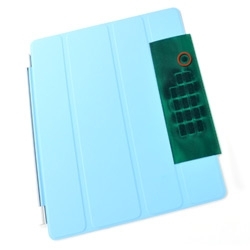 Wonderful design by №10. 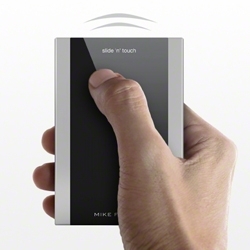 Smooth-as-silk trackpad remote control 'Slide'n'Touch' by Mike Flache allows to navigate through TV menus without any key. 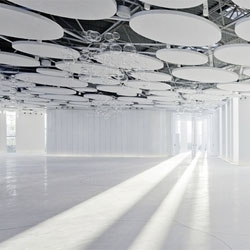 Ramón Esteve has designed this convention center called Myrtus in Puçol, Valencia, Spain. 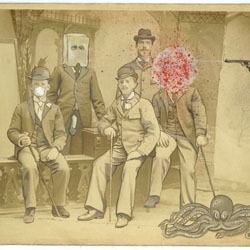 'Paintings from the Archives of the Pleasantville Historical Society' by Jonah Samson are infusions of classic portraits with fatalistic comic elements. 3 amazing posters aims at education about both the disappearance of birds and the propagation of bombs. 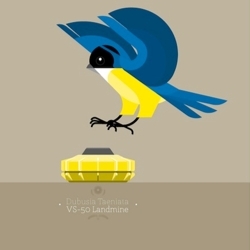 This series by Camilo Carmona called Bombirds is made with a great minimalist style. 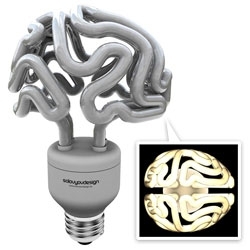 Solovyov Design ~ amazing "Insight" brain bulbs! 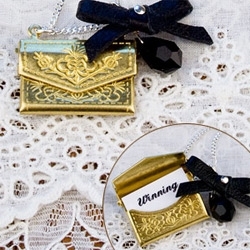 Latest from Locher's ~ WINNING! 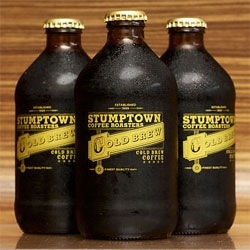 (Yes, it makes you think of HIM, doesn't it?) Still super cute! 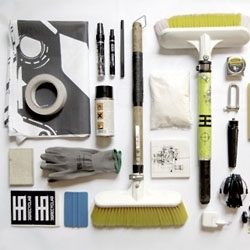 Things Organized Neatly. A great collection of beautiful organization. 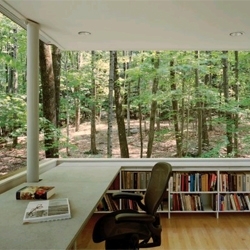 The Scholar's Library is a small, self-contained library and study in the middle of the woods. 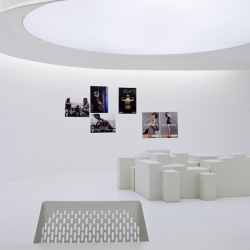 By Peter Gluck and Partners. 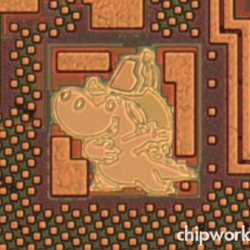 Chip designers add silicon art much smaller than a human hair to the chips used in our phones and tablets. 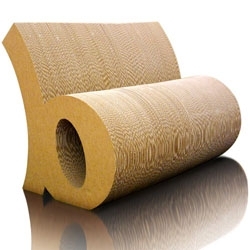 The Valencia-based multidisciplinary design studio Sanserif Creatius created a very unique collection of 100% biodegradable corrugated cardboard furniture inspired by typography. 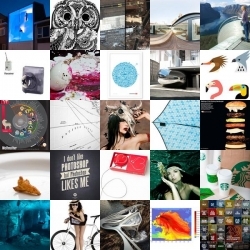 Einstein's watch: the unofficial record of a year's most ownable things. 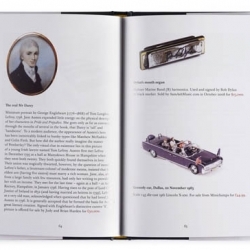 In this gloriously eclectic overview of ownable objects, Jolyon Fenwick and Marcus Husselby present a treasure trove of over one hundred desirable things. 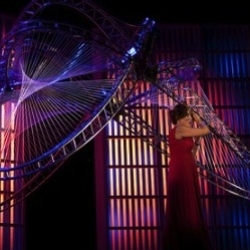 'Death and the Powers' is an opera by composer and inventor Tod Machover in collaboration with MIT's Media Lab. VIDEOLove this behind the scenes video from Form Us With Love of their Bolon Artisan Campaign. 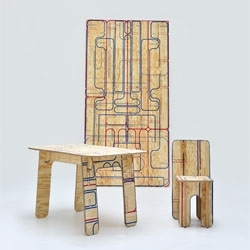 Jan Plecháč, from the Jiří Pelc studio, has just won the Czech Grand Design 2011 award in the 'Discovery of the year' category. This great print ad for German job site jobsintown is part of their 'Life is too Short for the Wrong Job' campaign. 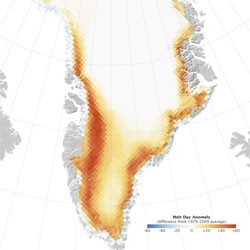 2010 witnessed exceptionally rapid melting of Greenland's ice cap. Shocking infographic from NASA. 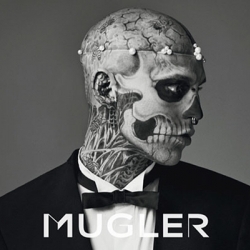 For this campaign, Mugler recruited the help of Rick Genest, better known on the web as Zombie Boy. He adds a ghostly edge to Mugler’s somber collection with his completely tattooed body, simply fascinating to look at. 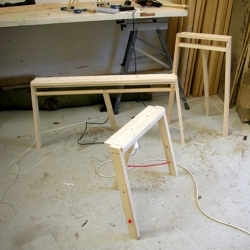 2440x1220 'Saw Assemble' from Pal Rodenius is a DIY furniture project. 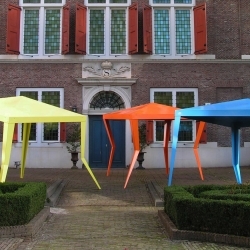 Party by Rotganzen is a tribute to the broken party tent in your neighbor's garden. 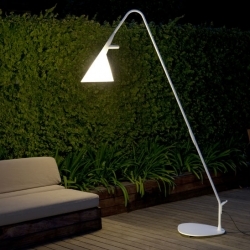 Mate is a garden lamp in white satin steel that blurs the frontier between outdoor and indoor lighting. 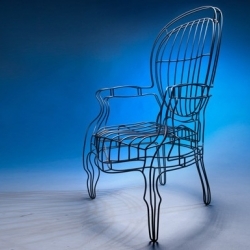 By Dutch designer Geert Koster for Metalarte. 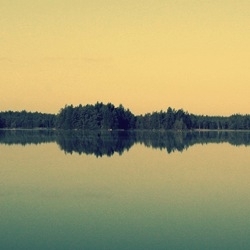 FEATUREDWhat a week and what a roundup! Here are just a few of the great posts that have graced the pages here at NOTCOT.org. 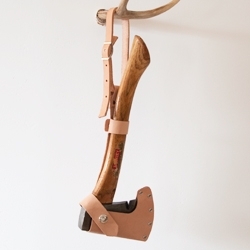 Downloadable template shows you how to make a leather sheath for your vintage camp-axe. VIDEOThis tamandua at the Sacramento Zoo gets a treat of honey in a tube. Cute footage of a great enrichment idea! Look at that tongue go! The first of five wallpapers by photographer Kim Høltermand for The Fox Is Black. Høltermand has created five unique desktop wallpapers that will be released every day this week. 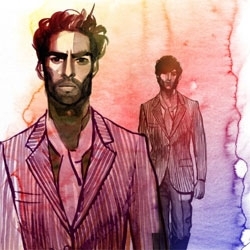 Beautiful illustrations by Iain Macarthur. 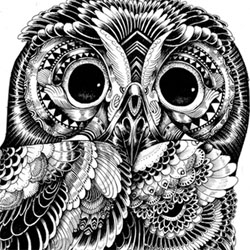 Birds with complex geometric faces. 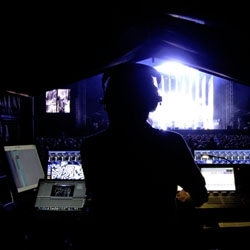 Great article by the NYtimes on Andi Watson, a lighting and stage director, or in the words of Jonathan L. Fischer, 'the man responsible for Radiohead’s mise-en-scène'. 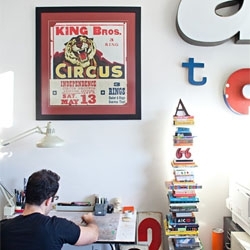 Grain Edit interviews designer and illustrator Tad Carpenter. 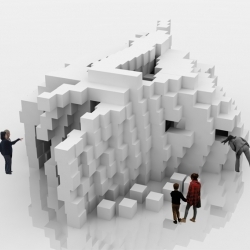 The Social Cave installation, a project developed in collaboration with interactive designer Mirko Arcese (BCAA) in celebration of the 50th anniversary of the furniture fair, the Salone Satellite in Milan. 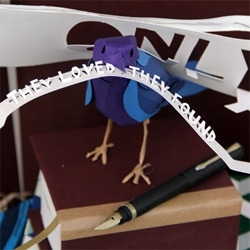 FEATUREDBeautiful Crafts Council window display at Liberty with paper bird sculptures by Andy Singleton. 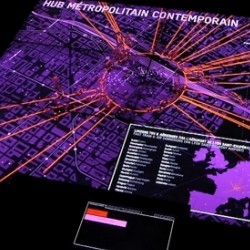 VIDEOLyon (France) train station project by Encore, looking into the future. 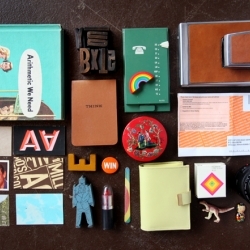 Great business cards for French Paper Co. by Charles S. Anderson Design. Poolball, a new sport created to promote the Budweiser Cup by Ogilvy Argentina. Tomás Alonso's 5 Degree Stool, a stool reduced to its minimum expression made of beech and sailing rope. So when was the last time you ate an entire cheesecake in bed or box of doughnuts in the bath? Lee Price paints figurative photo-realist self portraits from a bird's-eye view that are both intriguing and obviously voyeuristic. The YouTubeMasher is a quick and easy way to create audiovisual mashups from multiple youtube videos. 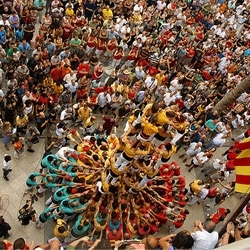 Great video of a Catalan tradition where teams building amazingly high towers using only their bodies as structure.